The biggest hit of the year, which earned around Rs 340 crore at the box office is also the highest rated film of 2018. With over 26 thousand votes, the film has scored 8.5 out of 10. 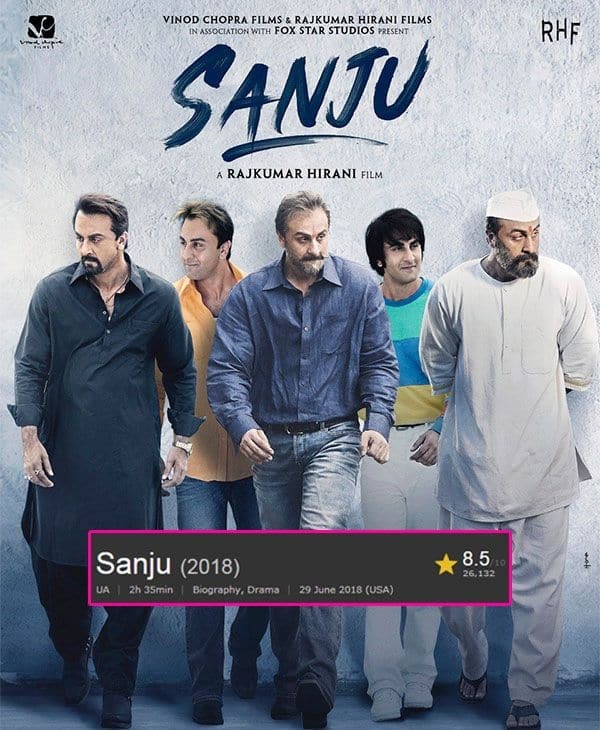 The biographical drama which stars Ranbir Kapoor as the controversial star Sanjay Dutt, is directed by Rajkumar Hirani, who has earlier delivered blockbusters like PK, 3 Idiots and Munnabhai series. 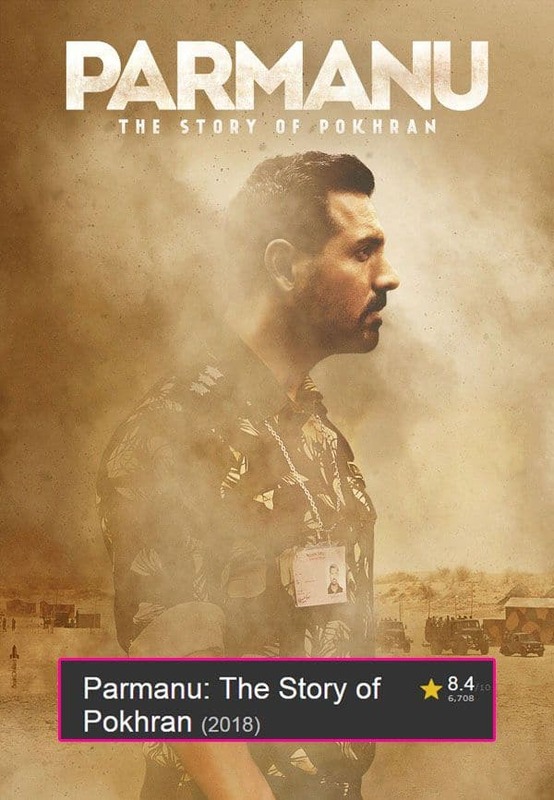 John Abraham’s Parmanu: The Story of Pokhran is the classic example of how a film can sustain for weeks on positive word of mouth at the box office. And it seems, the movie buffs, who watched the film have made sure to vote for it on IMDb. 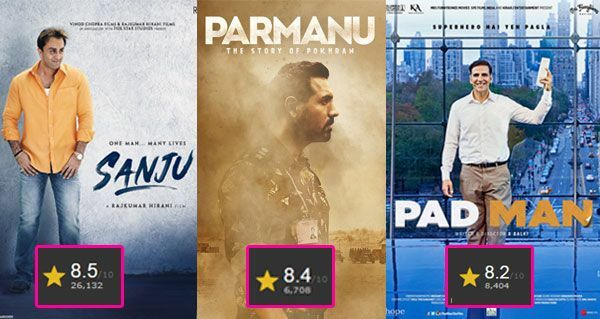 After Sanju, Parmanu has emerged as the second-highest rated Bollywood venture of 2018 and is just marginally behind Ranbir Kapoor starrer. 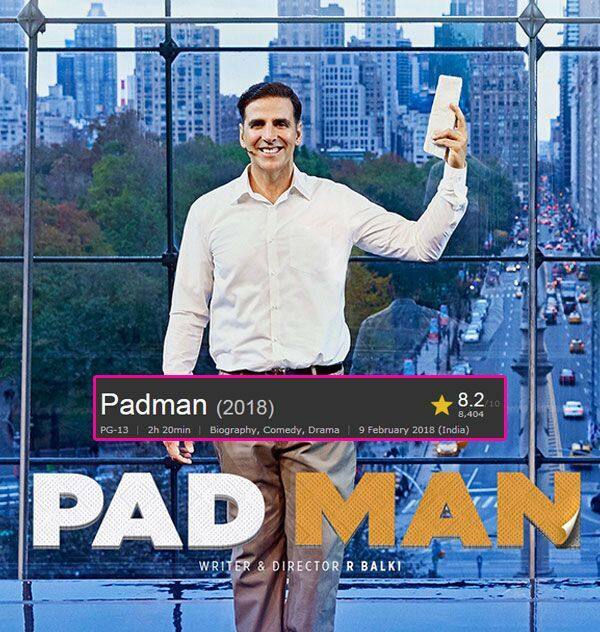 When Akshay Kumar and Twinkle Khanna decided to make a film on sanitary pads, they knew that it needs to find a connect with the audience and it seems Pad Man has managed to do that. The film received rave reviews from critics as well as movie buffs and its IMDb score is a proof of that. 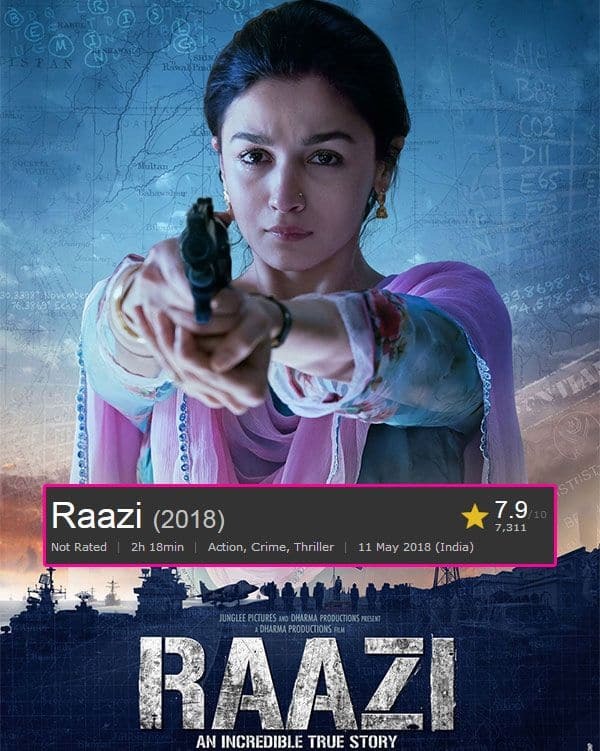 Alia Bhatt’s extraordinary performance and Meghna Gulzar’s gripping narrative made Raazi a riveting watch. The thriller film turned out to be a blockbuster and even the score on IMDb shows that. 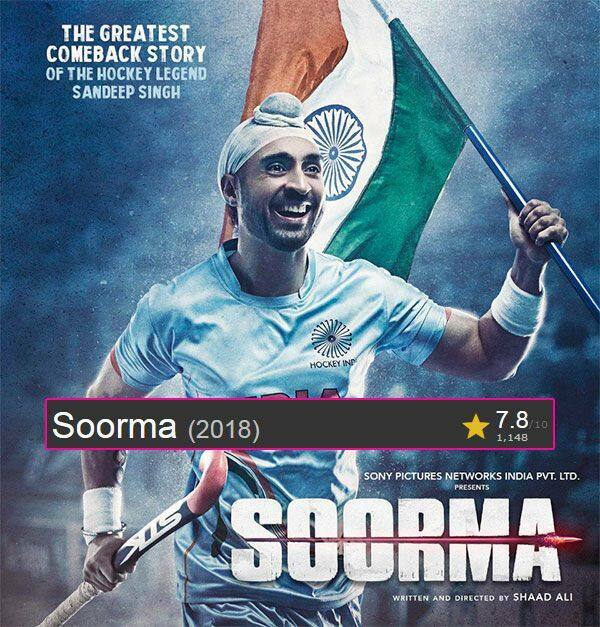 Despite not featuring any A-list-star, Diljit Dosanjh’s Soorma attracted the audience with its inspirational content, and thus made all the netizens to vote for the film and make it one of the top-rated movies.